Mexican food in North Dakota? Although you can’t get much further away from Mexico, North Dakota is still home to some of the best and most authentic Mexican restaurants in the country. It’s not all steak and potatoes up here! If you find yourself craving food found south of the border, check out one of the following restaurants. They will make sure you get your fix. Western North Dakota may be cowboy country, but Tomate Mexican Grill will make you think you’re actually in Mexico. The restaurant specializes in traditional tacos, burritos, and quesadillas, but you would be wise to also check out their tostadasde ceviche, papas locas, or cochinita. Wahpeton may not be known as the dining capital of North Dakota, but El Toro has quickly put it on the map. An authentic atmosphere and mouth-watering menu will have you traveling back to the small town again and again. 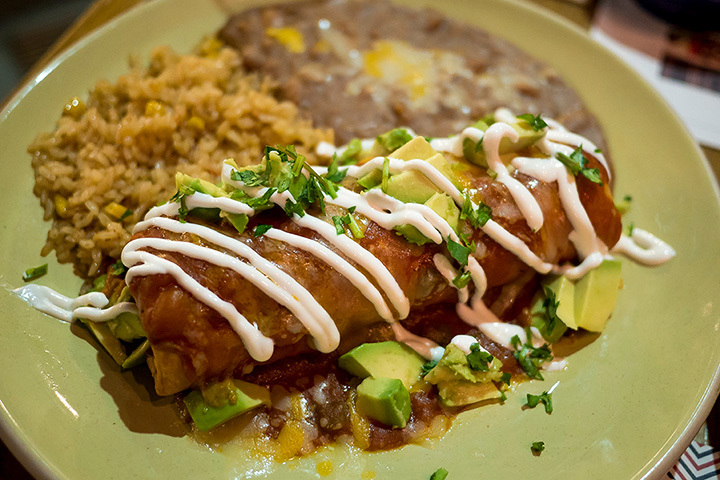 The restaurant’s enchiladas verdes and tacos especial are particular favorites. With over fifteen years of restaurant experience, La Carreta will give you the authentic Mexican dining experience you are looking for. With an extensive menu and a wide variety of adult beverages, you will be singing the restaurant’s praises before the dessert hits the table. Promising to “add some Texas to Bismarck,” Elma Rodriguez and Libby Vargas created a combination restaurant/market that can fulfill all your Mexican cuisine needs. You cannot leave without trying their homemade tamales, which are made fresh daily. Looking for authentic Mexican food in Fargo? Look no further than Acapulco. With one-of-a-kind dishes and homemade chips, the restaurant will leave you wondering why it took so long for you to visit. The word on the street is that the fajitas can’t be beat. If you are interested in sampling a “taste of New Mexico” while in the great state of North Dakota, a trip to Los Luna’s is in order. Independently owned and operated, Los Luna’s provides diners with authentic Mexican food that is as unique as it is delicious. Stop by and say hello. Chef Mark Luna will take good care of you. A North Dakota staple for decades, Paradiso understands how to satisfy your craving for Mexican food. Hearty appetizers, including their amazing homemade Mango Guacamole, and sizzling entrees will ruin you for other Mexican restaurants. Even better? Kids eat free on Sundays. One of the state’s newest Mexican restaurants, El Chile Verde is nonetheless an excellent place to get your Mexican groove on. Their wide variety of specialty and combination plates will leave everyone in your party more than satisfied. Don’t forget to try one of their signature margaritas. Although Charras and Tequila is the only Mexican restaurant in Devils Lake, the food is anything but small town. Chips and salsa are made fresh daily and entrees are made with the freshest ingredients available. An authentic Mexican atmosphere and fun, vibrant ambiance make this a must visit when you are in town.